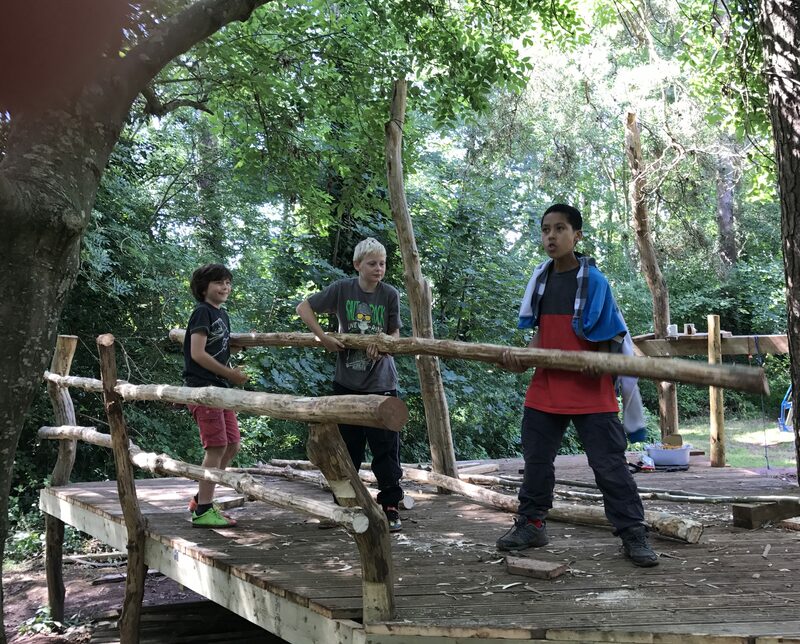 A variety of recent projects in the arts, heritage and academic sectors have taken adventure playgrounds as their theme, bringing welcome attention to this important part of the UK play scene. However, cautions Adrian Voce, it would be a mistake, and a missed opportunity, if the surge of interest were to be predominantly nostalgic or historical. 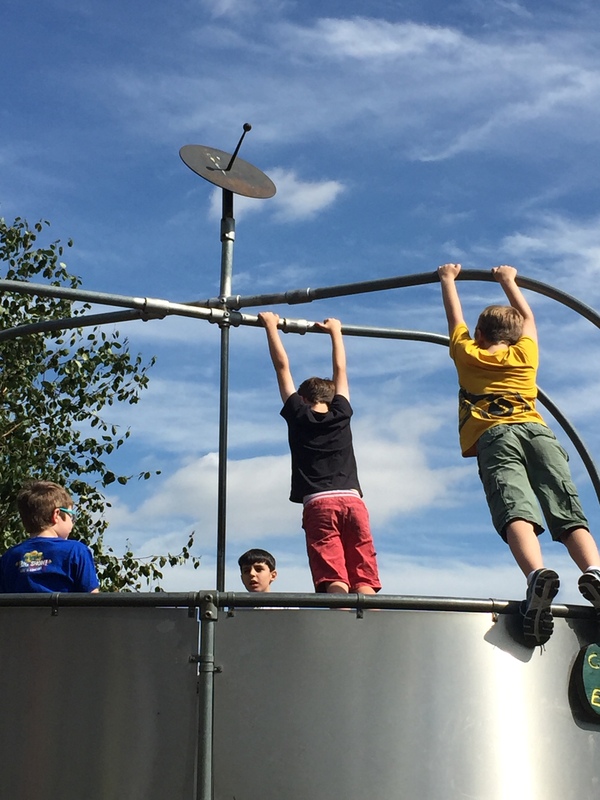 Over the last year or so, adventure playgrounds in the UK seem to have become the subject of wider than usual attention far beyond the usual play and playwork sectors. In truth, this swell of interest is around an accumulation of separate projects and initiatives, which have each either come to fruition or been launched, with attendant publicity, around the same time. Perhaps the most high profile of these, certainly in terms of popular culture, is no less than a brand new stage musical. The Lockleaze adventure playground in Bristol, known locally simply as ‘The Vench’, is both the subject and the setting for an original new comedy-musical, described by the Bristol Post as ‘a wildly funny and vivid new production about a miscreant group of Bristolian misfit teenagers who come together to build an adventure playground’. Junkyard will open on 24 February at Bristol’s Old Vic theatre. The Vench was also one of a number of adventure playgrounds in the West of England cities of Bristol and Gloucester, recently mined by researchers for the memories that they have inspired and bequeathed to their local communities. Sharing Memories of Adventure Playgrounds (SMAP) was a research project of the University of Gloucestershire that beautifully conveyed, through an exhibition, a film and a short report, the unique role that places like the Vench can play in the lives of successive generations of communities, and the value they hold for neighbourhoods where there may not otherwise be much that children can call their own. Elsewhere in England, researchers and curators at the Queen Mary, University of London and the V&A’s Museum of Childhood respectively are also collaborating on an exciting new initiative on the social history of London’s adventure playgrounds. Adventures in the City: the politics and practice of children’s adventure play in urban Britain, 1955–97 is a funded PhD project that began last year and will culminate in a new, interactive, permanent exhibition (an adventure playground, one presumes – as much as such a thing is possible within this context) at the museum’s popular Bethnal Green site in East London. One hears of other doctorates that have identified adventure playgrounds and their history as a subject ripe for researching (e.g. Shelly Newstead’s paper at Child in the City 2014). There are other artistic ventures too. Mark Neville’s recently opened exhibition of photographs on the theme of ‘Child’s Play’ chooses adventure playgrounds as the setting for what it describes as ‘play in free space’. 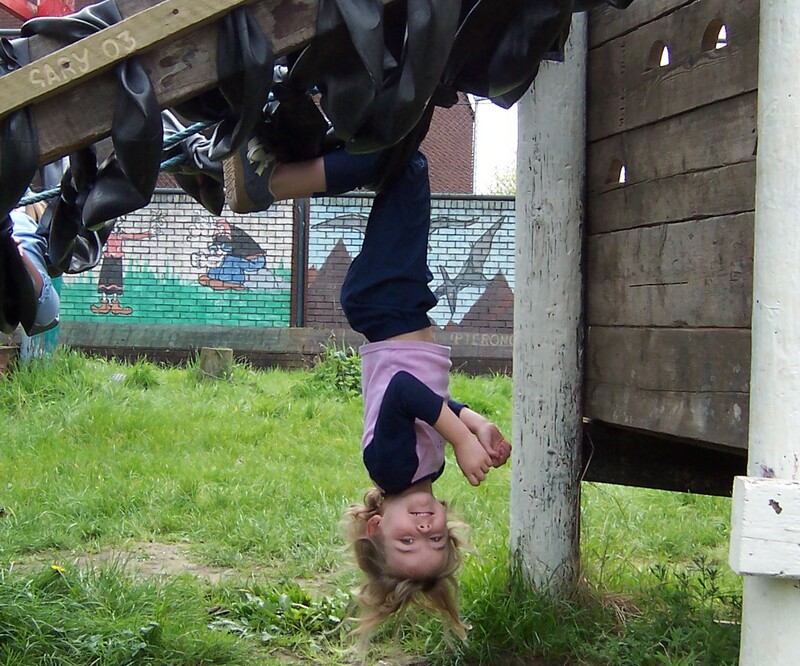 Neville juxtaposes his commanding images of children very much taking their space in some of London’s adventure playgrounds with those of children in less sympathetic contexts: the ‘structured space’ of school, and the ‘oppressed space’ of war and poverty. This kind of exposure and recognition for a form of provision that perennially struggles on meagre budgets and – with some rare exceptions – little support from their local authorities, can only be welcome. 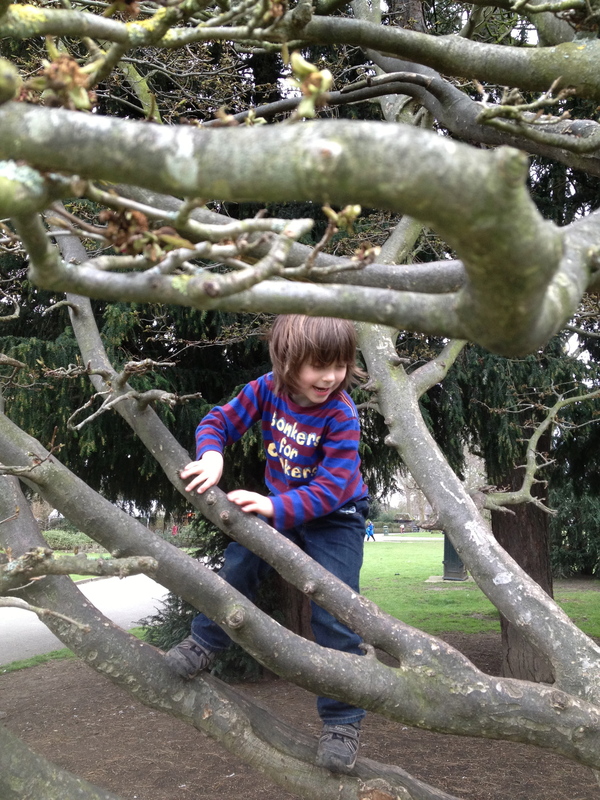 It is important too, that both academia and the heritage sector are taking adventure playgrounds seriously as the subject of research and cultural archive. Nevertheless, play advocates may also feel a little uneasy that so much of this attention is from an historical perspective. It is more than implied in this approach that adventure playgrounds today, if not quite anachronistic, are certainly an ‘endangered species’, as Dr. Wendy Russell acknowledged at the launch of the SMAP project last month. She estimates that there are no more than 150 remaining in the UK – and that not all of these are necessarily adventure playgrounds in the original sense of the term – compared to more than 500 in their 70s heyday. Exploring the reason for this decline needs an article (or a PhD!) all to itself, but as Mark Neville’s exhibition and its accompanying book assert, Erin Davis’ film so eloquently conveys and the children past and present of Bristol and Gloucester’s adventure playgrounds say for themselves, the supported space to play – with materials large and small, with the elements, and with the full spectrum of human curiosity, invention, and interaction, protected from the future focused, outcomes-obsessed world of adult-laid plans and rules for them – and the unique experience of community that is given to children in a proper adventure playground, is too vital to be merely a museum piece. We must hope, rather, that exhibiting adventure playgrounds, researching their history, and celebrating them through the arts will alert a new generation of advocates, policymakers and funders to their unique value to children and communities now. Reactions to what is widely being called ‘a crisis in young people’s mental health’ has tended to focus on the quality and availability of the services for children and teenagers who need help, and on the excessive pressures of an education system that causes such distress to young minds. There are good reasons for such concern. NHS figures have revealed that, as at June 2016, more than 235,000 young people (aged 18 and under) were accessing specialist mental health services for such problems as anxiety, depression, self-harming and eating disorders. Research by the Guardian suggests that a large majority of those working to deliver this support believe it is inadequate; a view endorsed by Young Minds, the UK’s leading mental health charity for children. Meanwhile, Natasha Devon, the Government’s own mental health champion for schools until the role was abolished in May 2016, has produced a harshly critical report of the DfE and its recent reforms, blaming the education system’s narrow focus on academic subjects and passing exams at the expense of PSHE, sport and the arts, for ‘actively conspiring against good paediatric and adolescent mental health’. if children are increasingly constrained in the behaviour they most enjoy, we should not be too surprised if they develop symptoms of unhappiness. Commenting in the Guardian this week, Owen Jones attempted to broaden the picture, calling for a ‘remorseless focus’ on what he identifies as the economic and social causes that ‘drive children to mental distress in the first place: overcrowding, poor housing, poor diet; lack of exercise, family conflict … (and) poverty’. Nowhere in this debate has one of the more obvious issues been identified, which is that if children are increasingly constrained in the behaviour they most enjoy, we should not be too surprised if they develop symptoms of unhappiness. Psychologists from a range of perspectives have long identified play as crucial to children’s emotional wellbeing, happiness and fulfilment; key to their capacity to experience the vitality of living in the here and now; and fundamental to their developing resilience, adaptability and creativity. The Mental Health Foundation recognises as much: placing the important role of play second on a checklist for maintaining children’s good mental health. 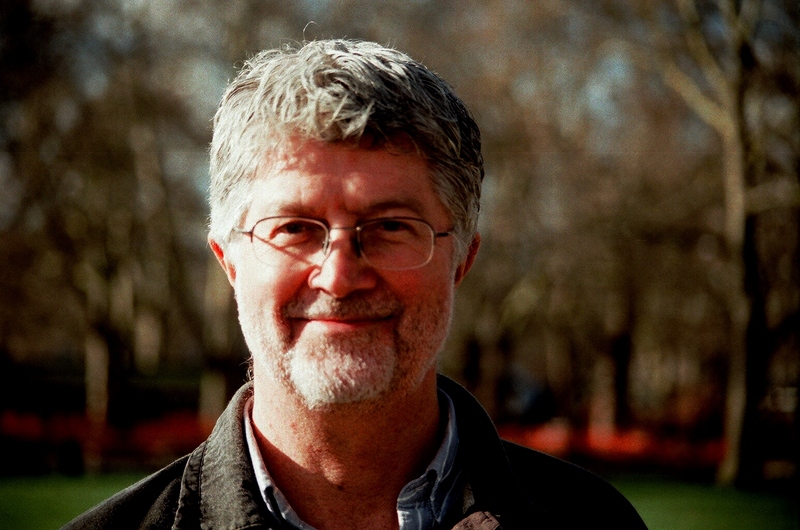 The great play scholar Brian Sutton-Smith was not trying to be smart when he said ‘the opposite of play isn’t work, it’s depression’. In 2008, after the UK came bottom of a Unicef league table of the wellbeing of developed nations’ children, there was a consensus – across the child policy as well as the political spectrum – that children desperately needed more time, space and opportunity to play, not virtually, on screens and social media, but with their actual friends, outside, as they have done for millennia. A 10-year strategy was launched to ‘make England the best place in the world to grow up’, with every neighbourhood made safer from traffic and containing attractive places to play within easy reach of children’s homes. 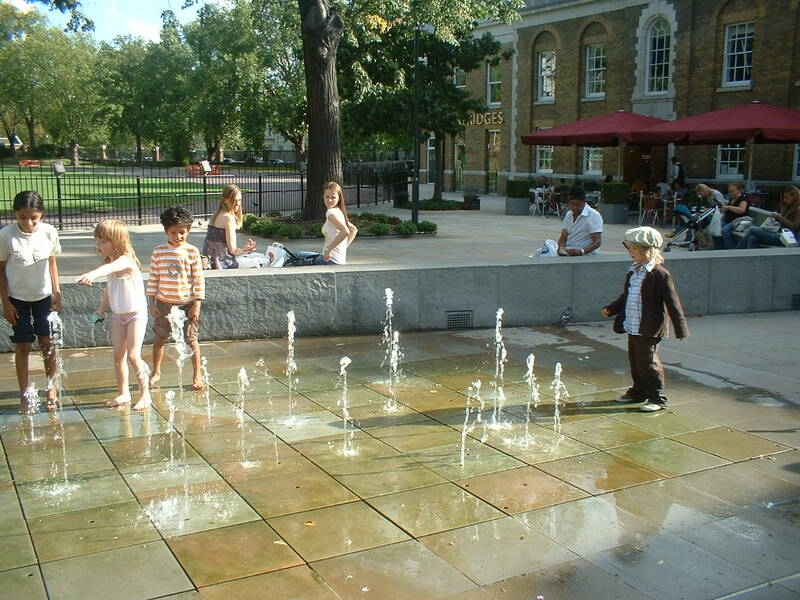 a genuinely child-friendly, playable public realm seems further away than ever. As we all know, the Play Strategy was abandoned almost immediately the Coalition Government took office in 2010 and, in spite of growing evidence that free play in the real world is a vital component of a healthy, happy childhood, no serious attempt was made by either of David Cameron’s governments to fashion their own response to what the former Prime Minister himself described as the dearth of ‘everyday adventures’ that was making British children ‘the unhappiest in the developed world’. Indeed, children’s play services up and down the country have been decimated by austerity measures ever since; and the play strategy’s broader ambition – to create a genuinely child-friendly, playable public realm – seems further away than ever. Theresa May says her new government will be ‘driven not by the interests of a privileged few’, but aim to create a fairer society that ‘works for everyone’. She may not have had children in mind when she said this, but as she and her chancellor begin to again redefine the role of the state, to perhaps play a greater role in the funding of public infrastructure, we should hold her to account not just for the state of the services that children need when they are distressed, but for the quality of the environments they have to grow up in. If we ‘want a society that promotes happiness and wellbeing among children’ we must start by giving them back the space where they are happiest, and the freedom to enjoy it. A condensed version of this article has appeared in today’s Guardian, on the letters page.